This is one palette in my total of 16 Zoeva Palettes. I got the Rose Gold palette a couple of years ago and I loved it so much that the collection have just continued to grow. Usually I am very happy with the quality. Only one palette was a miss for me, and that was the pastel palette “Sweet Glamour” which I love the shade selection of, but the quality was just not there. 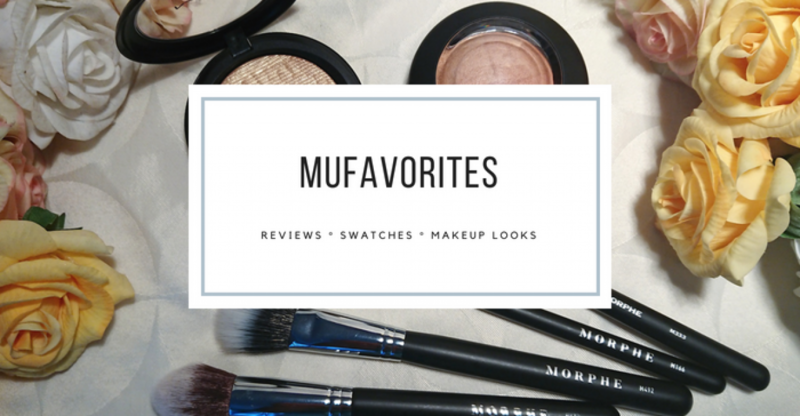 Besides that I have found a few dud shades here and there in the palettes, but overall I have been impressed with them and very happy with how they perform. The last Zoeva palette I reviewed ( the Eyesee palette) had a few shades I was not overly happy with, and there are many Zoeva palettes I would recommend instead of that one. So I was excited to see how this one would compare. Nothing has changed regarding packaging. These 10-pan eyeshadow palettes are all the same. Sleek, compact,and sturdy with a nice design. They don’t have a mirror so they are extra slim. Very easy to store or slip in your makeup bag for travel. I really like the looks of this one too with the rich dark browns and rose gold details. A very pretty packaging indeed! The color selection surprised me, because I kind of expected coffee inspired shades meaning mainly browns. I did not realize when I ordered it online but the majority of the shades are pink and berry tones. I don’t mind at all the shades, but I was just a bit surprised (maybe look closer at the palettes before I order or what?). The colors are quite neutral still. There is one pop of green but even that green is very wearable, so you can easily use this palette for more neutral looks, a light berry look, a fun green pop, or you can go a bit dark and smoky with the darker cool-toned browns. The color composition is impeccable in my opinion. You do get absolutely everything you need for a complete look, with a nice balance between mattes and shimmers. You have all the basic shades you could need like a base shade, several options for crease shades where you can do either berry or brown, a nice variety of shimmers for the lids, a pink highlighter shades, and some darker options to deepen the look. A few of the shades could even work as a liner. So I did not feel like I missed anything. Overall I was quite happy with the quality as well. If I compare this to my recent review of Eyesee I think this one it better. All the mattes performed well without any issues. They blend, look even and have decent pigmentation. They have a little bit of fallout but not much. The shimmers are of the more subtle kind. Not the most intense foiled metallics for sure, but more of a softer sheen. I think this formula is quite complimentary on older skin, so these are maybe a preference to some, but personally I tend to reach more for the intense shiny ones. The quality is nice enough even though this is not my favorite shimmer formula. They are definitely pigmented. The two darker shades on the right side of the bottom row need a little first aid with a setting spray, and then they apply just fine. The shimmers do have a bit more fallout than the mattes. Since the shimmers are more muted, and the colors are quite toned down I think this is nice as a everyday palette. It does offer a bit more excitement than just the regular neural browns, while still being very wearable. If you have been looking for a very wearable green you got it right here! I think this palette is great if you’d like a neutral palette with just a little bit more interesting colors than just browns and beige. This palette offers exactly the same “wear ability” (wear whatever you want, but you get it) as a brown neutral palette, but it allows you to dive into nice pinks, berries and greens without being too loud. Have you tried this? Or any other Zoeva palette? Shout out your favorite in the comment if you have! I haven’t tried Zoeva but I have been interested on and off over the last couple of years. This palette looks really pretty!